The Department of Religious Studies hosted its 6th annual Day Lecture. The series (established, by his family, in the memory of REL grad Zachary Day) focuses on religion and popular culture, attracting students from across campus. This year, Professor Teemu Taira flew in from Helsinki, Finland, to discuss religion and the James Bond films. 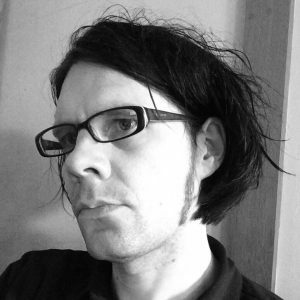 As the Senior Lecturer of Religious Studies at the University of Helsinki, Taira focuses his work on religion in media, but also has interests in the modern visibility of atheism and religion as a category. Utilizing his diverse research background, Taira identified religious representations in James Bond films, confessing that tackling this project allowed him to combine curiosity with relaxation. 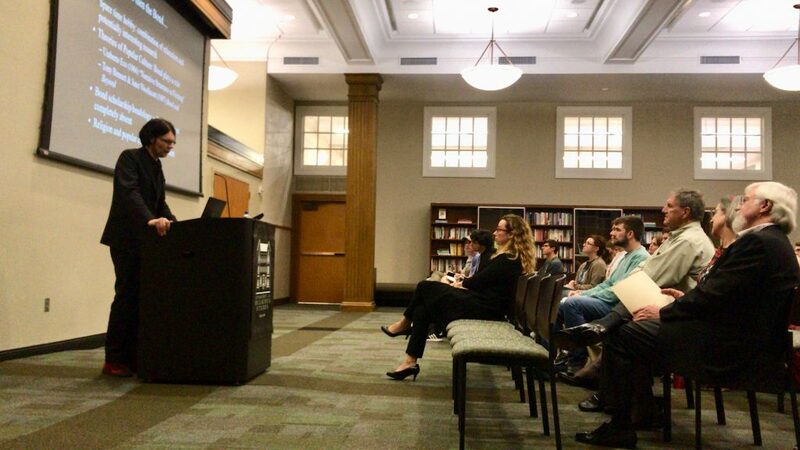 Before beginning his lecture, Prof. Taira jokingly admitted that his search for religion in James Bond films created some confusion among his counterparts. Despite the film series’ apparent lack of explicit religious images and themes, Taira argued that, depending how one defines religion (that is, what constitutes a viewer’s prototypical idea of religion) a multitude of scenes from the 25 different Bond films that he studied reinforced an ideal Western Christian identity. For instance, pointing to examples of marriage and death rituals after (spoilers!) Mrs. Bond dies at the end of On Her Majesty’s Secret Service (1969), he defined Bond to be a “cultural Christian.” For although the character never explicitly admits to any beliefs, the various rites of passage in his life are typically Christian. In Live and Let Die (1973) Taira claimed that a Western bias towards voodoo and magic was exemplified, elevating Bond’s so-called Western logic over such supernatural influences. With a seemingly endless pool of data to evaluate (at least 50 hours of James Bond films), Prof. Taira had many examples to support his claim, and members of the audience had questions regarding the intentionality of the filmmakers and the religious identity of James Bond as a fictional character. Taira answered them diligently, as part of a Q&A that lasted for almost thirty minutes, noting that his study’s focus was on the reinforcement of Western cultural identities through seemingly unnoticed religious representations in the movies. Instead of looking at cinematic implications or individual identity in Fleming’s character, the lecture demonstrated that theories for the study of religion could be applied in places beyond the usual academic scope. The audiences’ inquisitiveness makes it seem that Prof. Taira has productively opened a can of worms on the adventures of this famous spy and was successful in prompting his listeners to look at our cultural icons with an analytical eye. We were very pleased once again to have Charles Day and Nancy Campbell (Zach’s father and step-mother) in attendance at the lecture and to have had Prof. Taira visit classes and meet with BA and MA students as well as faculty while at UA. His public lecture was filmed so we look forward to posting that video in the future. This entry was posted in Faculty Blog, News, Public Events, Relevance of Humanities, Religion in Culture, Uncategorized and tagged #Day2018, Day Lecture, Film, film studies, Finland, James Bond, Religion, Religion and Film, religion and pop culture, Religious Studies, Teemu Taira by Morgan Frick. Bookmark the permalink.